When it comes to medium duty towing it is important to determine the towing capacity of the vehicles involved in the towing process. In order to classify the different vehicles in the country, you can look for the GVWR or Gross Vehicle Weight Rating of your car. Furthermore, GVWR will also include the weight of the actual vehicle and the additional cargo that goes inside of the vehicle to be towed which are the fuel and passengers. In medium duty towing, the vehicle considered for this level mostly works trucks such as delivery trucks, utility trucks, box trucks, buses, and shuttles. This form of towing is necessary to those who are outdoor enthusiasts who own road campers, motor homes, and recreational vehicles. There are still other vehicles who falls into this category as far as towing is concerned and may be difficult to memorize. Therefore, it is safe to say that vehicles that have weight range between 14000 to 26000 can be classified as medium duty towing. When the time comes that you need towing assistance, your preferred towing company will ask you for the following information in order to calculate your trucks weight. A tow contractor will ask for your vehicles make, year and model. You will be also asked to estimate the height, width, and gross weight of your vehicle. You may also need to inform them if there are any special equipment on board as this will affect the weight of your truck. On a side note, if you have a tractor or small crane, flatbed towing is maybe necessary. In addition, medium duty towing, although can be expensive compared to light towing or dolly system, it has its own benefits. First of all, medium towing allows you a lot of room for maneuvering compared to heavy duty towing. Secondly, light-weight towing, maybe maneuverable but don’t have the capacity to lift larger vehicles. Finally, medium towing is mostly offered by large towing companies. If it’s a large towing company it means its technicians have more experience and can readily handle any issues that will arise along the way. At SW Towing we just got everything you need. We offer all our services with corresponding equipment and tools which allows us to do our job safely. 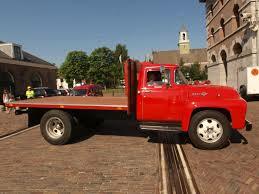 Furthermore, we offer our medium duty towing service round the clock. Therefore, if you need help our help we can tow you with our medium duty towing trucks, don’t hesitate to give us a call.